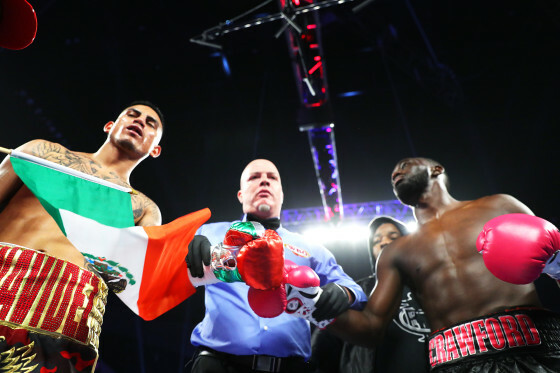 A Look Back in PHOTOS: Terence Crawford Overcomes a Game Jose Benavidez Jr. There was a lot to take in during my visit to Omaha, NE this past weekend. 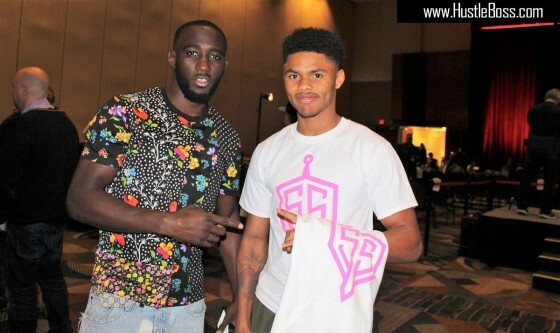 In the main event inside of the CHI Health Center, we witnessed one of the sport’s top fighters, WBO welterweight champion Terence Crawford, overcome a spirited effort from Jose Benavidez Jr. before stopping him in the 12th round on ESPN’s airwaves. Crawford (34-0, 25 KO’s) had some tough moments during the first half of the fight against Benavidez (27-0, 18 KO’s), but he stay composed and changed the momentum of the fight following round six. 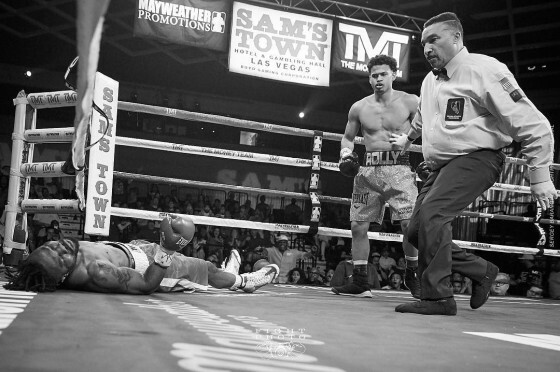 Crawford began to counter Benavidez much easier, and a big uppercut from the 31-year old champion registered the fight’s only knockdown in the 12th. Crawford jumped on Benavidez moments later, hammering him accurate shots, and the fight was waived off. If the theatrics of this fight week have been any indication, boxing fans are in for a treat later tonight when WBO welterweight champion Terence Crawford meets undefeated former interim champion Jose Benavidez Jr. inside of the CHI Health Center in Omaha, NE. Simply click the photo above to be taken to our YouTube page to check out videos of Friday’s weigh-in and Thursday’s final press conference, both of which were full of drama. Crawford (33-0, 24 KO’s) vs. Benavidez (27-0, 18 KO’s) goes down later tonight on ESPN. 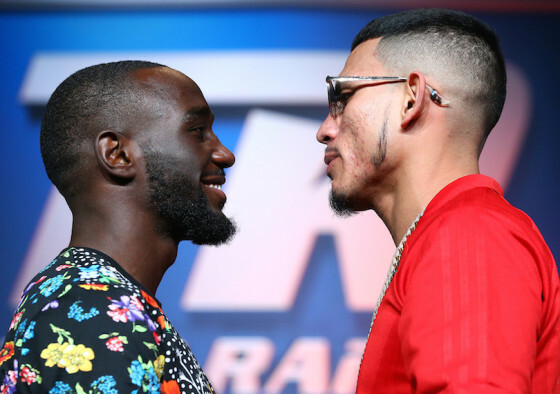 Give how intense things have been between Terence Crawford and Jose Benavidez Jr. in recent days, you could expect something to go off at their official weigh-in on Friday afternoon. And that’s exactly what happened. Crawford (33-0, 24 KO’s), the WBO welterweight champion, swung for Benavidez (27-0, 18 KO’s), but only after his brash opponent got things started by shoving him as they came face to face after both hit the scales inside of the CHI Health Center in Omaha, NE. Crawford weighed in at 145.25 pounds while Benavidez was slightly less at 145 pounds. Tomorrow night, in Omaha, NE, inside of the CHI Health Center, female junior lightweight prospect Mikaela Mayer (7-0, 4 KO’s) returns to the ring for her eighth professional bout. Mayer turned professional following a run in the 2016 Olympics and has been busy under the Top Rank umbrella. Speaking with her longtime trainer Al Mitchell, Mayer was able to shed some insight into her training regimen in Colorado, as she trained with Terence Crawford, Shakur Stevenson, and others, as she got ready for this contest. Mayer and Mitchell also spoke about the recent emergence of several top female fighters in the sport. 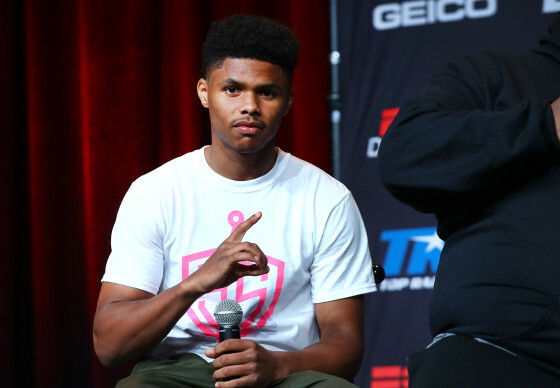 Undefeated featherweight prospect Shakur Stevenson (8-0, 4 KO’s) has a lot of buzz behind him these days. The 21-year old returns to the ring this Saturday night vs. tough featherweight Viorel Simion (21-2, 9 KO’s) on the Terence Crawford vs. Jose Benavidez Jr. undercard in Omaha, NE. 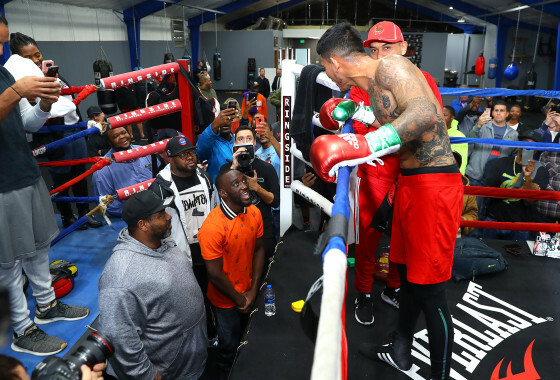 Prior to Thursday’s Crawford vs. Benavidez final presser, we spoke to Shakur about his training camp, which included sparring some rounds with Crawford, being mentored by Andre Ward, and other aspects of his boxing journey. 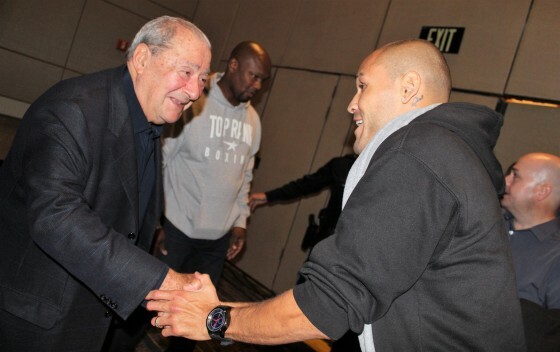 The leadup to the Terence Crawford vs. Jose Benavidez Jr. fight has been pretty intriguing, with both sides exuding confidence and talking their share of trash. What we have come to find out about Crawford’s trainer, Brian “BoMac” McIntyre, is that he definitely has no problem standing up for his fighter. 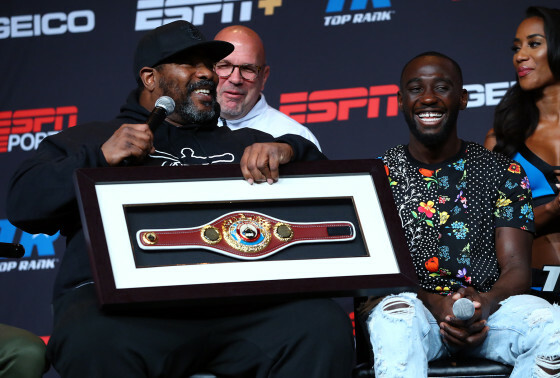 This was on display on Thursday afternoon at the final Crawford vs. Benavidez press conference, as McIntyre continued to issue warnings to the 26-year old challenger. 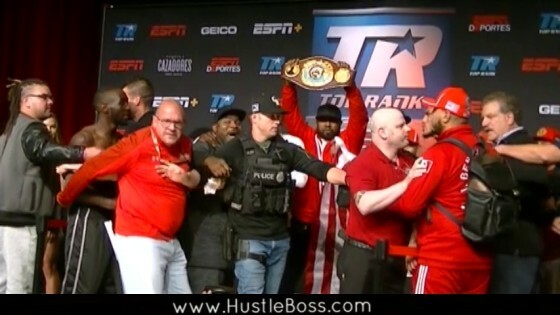 The teams of Crawford and Benavidez could be seen getting into a near scuffle on Wednesday at the open media workout and the tension carried over to Thursday’s presser. 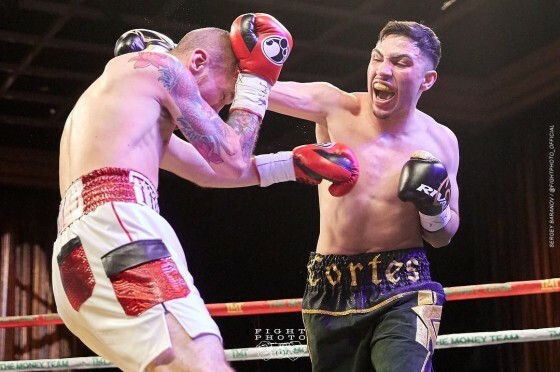 On Saturday night, former interim WBO junior lightweight champion Mike Alvarado returns to the ring, as he will be facing off with journeyman Robbie Cannon in Omaha, NE. Alvarado’s fight will take place on the undercard of WBO welterweight champion Terence Crawford’s fight with undefeated Jose Benavidez Jr.
We spoke with Alvarado (38-4, 27 KO’s) prior to Thursday’s presser about the highs and lows of his winding career. Alvarado is intent on making one last great push in this boxing game and his spirits are again high. Check the clip below to hear the interview. 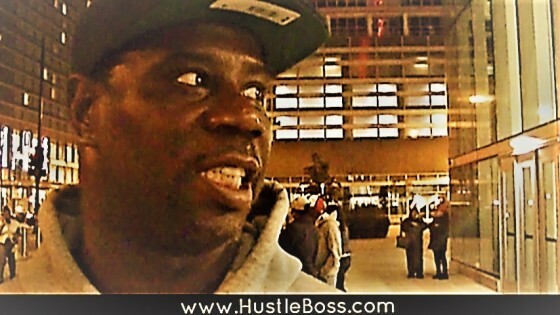 On Thursday afternoon, Hustle Boss was on hand inside of the CHI Health Center in Omaha, Ne. for the final Terence Crawford vs. Jose Benavidez Jr. presser, that saw both teams continue to trade words with one another. The animosity between the camps of Crawford (33-0, 24 KO’s), the WBO welterweight champion, and Benavidez (27-0, 18 KO’s) continues to grow and things will be settled once and for all come Saturday night. Check below for our exclusive look at some highlights from Thursday’s presser, as the two teams continued to verbally spar with one another. On Thursday afternoon, in Omahe, Ne., undefeated WBO welterweight champion Terence Crawford (33-0, 24 KO’s) and former champion Jose Benavidez (27-0, 18 KO’s) and their respective teams came face to face ahead of their big showdown on Saturday night from the CHI Health Center on ESPN. Things got heated between the camps at Wednesday’s open media workout and emotions definitely carried over to the press conference. 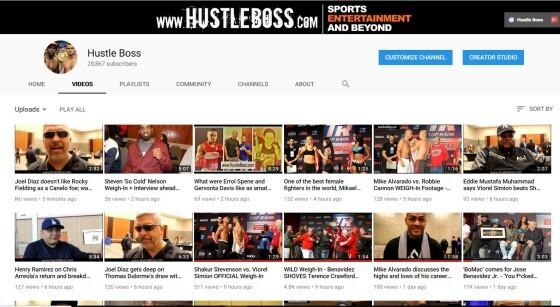 Hustle Boss was in the building and prior to the intense final presser, we went behind the scenes and captured some exclusive photos of several of this weekend’s fighters ahead of their forthcoming matches. This Saturday night, in Omaha, Ne., undefeated WBO welterweight champion Terence Crawford will face off with former champion Jose Benavidez Jr. (27-0,, 18 KO’s) at the CHI Health Center. The two men obviously have some bad blood for one another, a fact that was further highlighted by today’s media workout that saw them come face to face and jaw at one another. From Crawford’s view, the beef is real. Will Floyd Mayweather make a comeback to the sport and who will it be against? The retired, former pound-for-pound king made headlines last month when he revealed that he would be returning to face off with his former foe Manny Pacquiao in December. And while it’s obvious Mayweather vs. Pacquiao II won’t be happening this year, there seems to be real reason to believe we could see them face off in 2019. 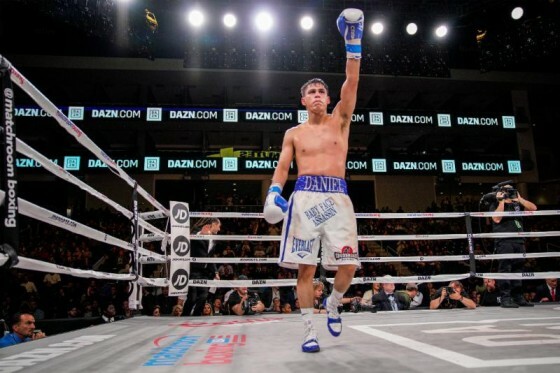 This past weekend in Chicago, Ill., WBA junior featherweight champion Daniel Roman (26-2-1, 10 KO’s) successfully defended his world title for the third time by stopping England’s Gavin McDonnell (20-2-2, 5 KOs) in the tenth round. 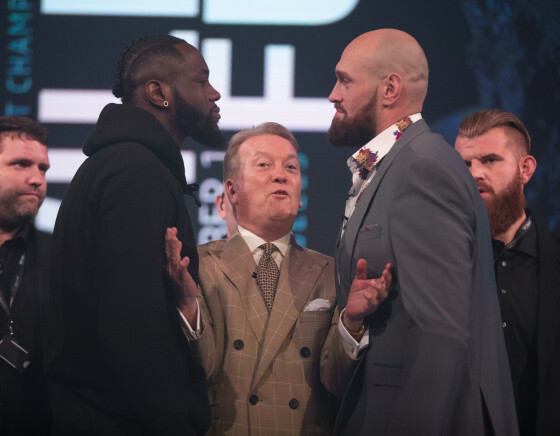 The bout took place from the Wintrust Arena and was aired on the DAZN streaming app. Roman, 28, who goes by “The Baby Faced Assassin”, was patient and effective throughout, as he seemed to edge nearly every round against McDonnell. In the tenth, a big right hand started the onslaught and moments later McDonnell was on the canvas, with the fight being waved off seconds later. Roman has now won 18 consecutive bouts.